The Icelandic Ethical Humanist Association (Siðmennt) met this past weekend to celebrate the 25th anniversary of their founding. Among conference events and cultural celebration, the guests included President of Iceland, Ólafur Ragnar Grímsson. Siðmennt has been going from strength to strength in recent years. After becoming a registered life stance organization in May 2013 the organization more than quadrupled its membership, evidence of strong support for humanist policies. They recently appointed their first ever Executive Director, Bjarni Jónsson, who had worked with many years with the organisation, including as representative to the Nordic Humanist organizations, and a new office was opened in Reykjavik in the past few months. After years of campaigning, in July they were able finally to celebrate the end of the country’s outdated ‘blasphemy’ law. As well as celebrating these achievements, the 25th Anniversary conference also saw Siðmennt’s President Emeritus and long-time active leader of the organization, Hope Knutsson, awarded for her unmatched efforts toward Siðmennt’s success throughout its history. The Distinguished Service to Humanism Award is presented annually by the International Humanist and Ethical Union, as IHEU Executive Committee member Roar Johnsen explained in his speech to the conference, which follows below. Siðmennt has been a member of IHEU for many years, and has been a small, but important, part of the international humanist movement. The group that organized the first civil confirmation in Iceland during the winter of 1988-1989 founded Siðmennt a year later, in February 1990 to ensure that this alternative to religious confirmation would continue to be available in Iceland. Its goal from the start was to provide secular ceremonies at all of the important transition points in life. With support from other national organizations, Siðmennt trained the first group of Icelandic secular celebrants in 2007, and have since offered secular and humanist baby-naming ceremonies, marriages, and funerals. Siðmennt is working for human rights, full freedom of religion or belief, separation of church and state, and an education system where children are not discriminated because of their parents’ religion or life stance. Siðmennt supports the human rights of minorities, such as gay and transgender people. Siðmennt has held lectures, seminars, and conferences and brought internationally famous speakers to Iceland. Siðmennt has co-published the first book in Icelandic about Humanism. Siðmennt gives two annual awards: Húmanist of the Year and The Siðmennt Education and Science Award. In recent years, we have heard of successes like: “Icelandic humanists offer parliament a secular alternative to mass”. We have heard of the new law on life stance equality, giving Siðmennt and others equal status to religions and the right to government support; and then Siðmennt registered as the first secular life stance organization in Iceland; had a large membership growth; and this summer, the abolition of the blasphemy law in Iceland. These are excellent accomplishments for a small group like Siðmennt. Congratulations to Siðmennt and all the dedicated Humanists in Iceland! At each of our World Congresses, IHEU name one or more persons for the International Humanist Award, and at our General Assembly each year we name one or more persons for the Distinguished Service to Humanism Award. This year, however, the recipient could not be present at our General Assembly, which took place in Manila in the Philippines, and the Executive Committee of IHEU has decided to present the award here, in agreement with the organizers. 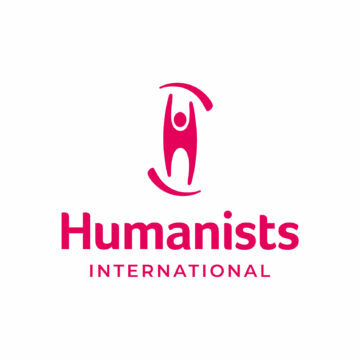 The Distinguished Service to Humanism Award recognizes exceptional contributions to the work of IHEU and international humanism. The recipient was one of the main founders of Siðmennt in 1990 and has served on its board since then. She has been president for the past 18 years and has just retired this year. This remarkable woman has not only been a leader of the Humanists in Iceland for the past 25 years but has been in the forefront of the creation and running of many other organizations. She is a psychiatric occupational therapist and social activist, born and raised in New York City. She has worked in health care and advocated for human rights and equal rights for various minorities for her entire adult life. First, in New York in anti-war organizations, groups protesting nuclear power plants, and the military industrial complex. She also worked in community organizations for better health care services in the USA. She earned a B.A. degree in psychology and philosophy from City University in New York and a Master’s degree in Occupational Therapy from Columbia University. She moved to Iceland in 1974 and has worked in service to Icelandic society for the past four decades. The recipient worked at the state psychiatric hospital in her first 3 years in Iceland and taught other health professionals about occupational therapy. She was one of the founders of the Icelandic Occupational Therapy Association and its chairperson for 22 years. She worked for two decades organizing a curriculum in occupational therapy at a university in Iceland. She was Iceland‘s delegate to the World Federation of Occupational Therapists for 28 years. She was for several years a member of the board of the Association of Academics, an organization of 26 trade unions of academics in Iceland. In the 1980’s she served as chairperson of a mental patient’s rights and advocacy organization. She created a support group for former patients and relatives, built up a drop-in center, and organized public lectures on mental health topics. She researched the causes of and solutions to the problem of violence in schools and prepared a lecture on the subject and went to many schools in the capital area speaking about it over a two year period. She worked for several years on the board of the Organization of Health Professionals and participated in organizing two conferences about violence as a health matter. In the 1990‘s she was one of the founders of the Society of New Icelanders, an organization of English speaking immigrants from around 20 different nations. She was its first chairperson, and held that office for five years, organizing monthly lectures on a wide variety of issues in Icelandic society. Following this work in immigrant affairs, she founded the first Multicultural Council in Iceland as an advocacy group for immigrant’s rights and was chairperson of the council for six years. In 1989 she organized the first civil confirmation program for teenagers in Iceland and has been director of this program ever since. Civil confirmation is a secular alternative to religious confirmation and consists of a 12 week educational program in critical thinking, ethics, human rights, human relations and related subjects followed by a festive, cultural ceremony. The program has grown from 16 kids the first year to over 300 now. She then took part in the founding of Siðmennt in 1990, and has been president of the organization since 1996. She was one of the main organizers of a large international conference in 2006 in Iceland called “A Positive Voice for Atheism” which included speakers like Richard Dawkins, Dan Barker, Annie Laurie Gaylor and Margaret Downey. In recent years, she helped to bring Maryam Namazie, James Randi, and PZ Myers to Iceland to give several public lectures. This is a remarkable lady, indeed. She enjoys great respect in Icelandic society for her many contributions. And there may still be new initiatives to come, after all, she is only in her early 70’s! 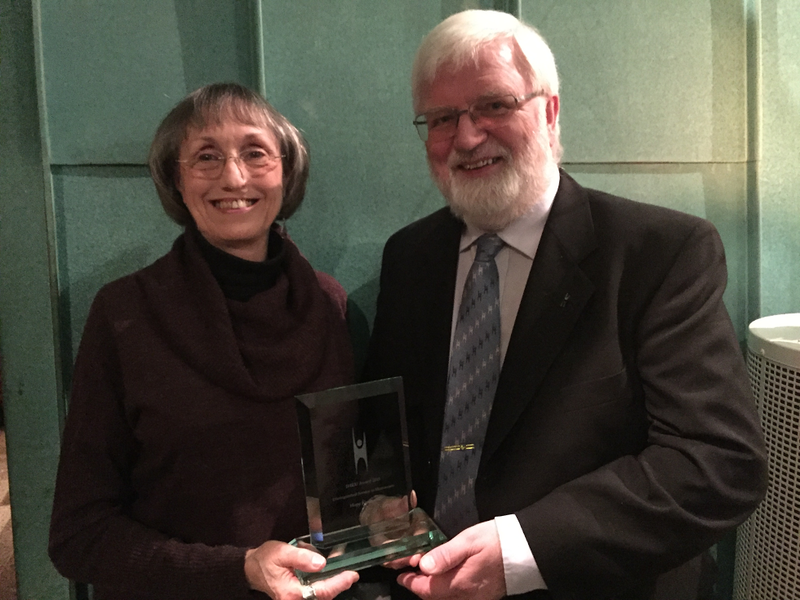 It is an honor and pleasure for me to present the Distinguished Service to Humanism Award for 2015 to Hope Knutsson!